Hope, you are quite well and preparation for various Competitive exams for Govt. Job.We are prepared for exams but we don't know that Whats question is very important for Competitive Exams. And which Question have Come previous years Exams. This is mainly important to us and makes batter preparation for any kind of Competitive Exams in India. 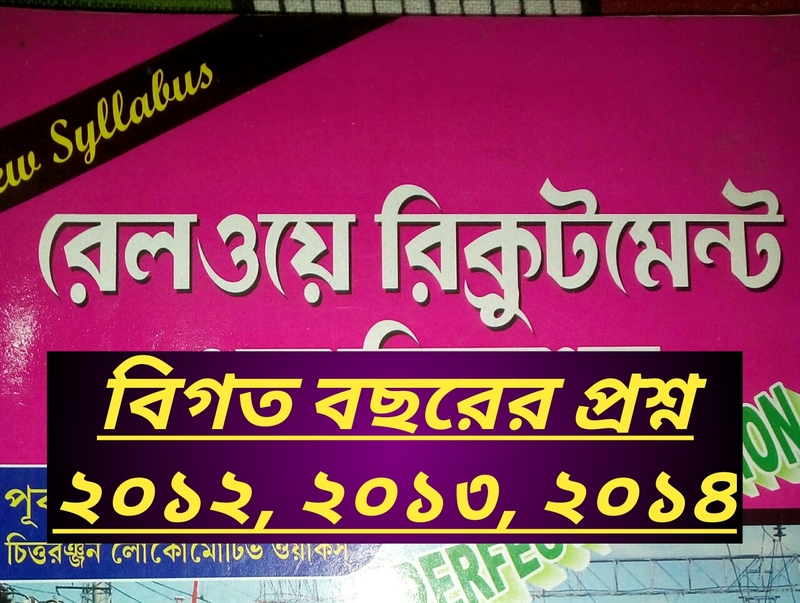 GK Solve, Share most important pdf file for you.Today we share West Bengal Railway Previous years Question paper Exams, 2012, 2013, 2104. The railway is the biggest sector of India. so most of the students' prepare for Railway job.And great news, this year's Group D railway recruitment begins.Hope this pdf file helps you to better preparation.Sources of the pdf file are 'wb sss MSC primary newsroom' facebook group.Download link and details of pdf file given below. Hope, This post is Helpful to You.If You help from this blog, please Share blog address with Your Friends and Like Our Facebook Page. Disclaimer: This pdf file is not scanned, by GK Solve. Sources of the pdf file are 'wb sss MSc primary newsroom' facebook group.